Tripido is based in The Netherlands. It helps senior employees work part-time work for a social organization. “Take advantage of your experience, follow your heart, improve society” is the mission behind Tripido’s innovative encore program. Established in 2017 by co-founders, Vincent Snijder and Leo Smitshoek, it helps employees make a phased transition to social sector work while continuing to work with the corporate employer. Employees benefit from the opportunity to use their skills in a mission-driven organization and experience life outside the corporate environment. The social sector organizations gain access to skilled talent. The model allows for different part-time schedules with pro-rata percentage reductions in an employee’s salary. 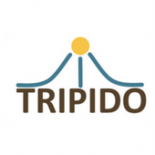 Tripido is developing pilots with different corporates in the Netherlands, including Shell.